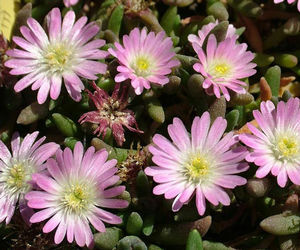 Light pink daisy-like flowers adorn this 1-2" succulent ground cover from spring to early summer and again in the fall. 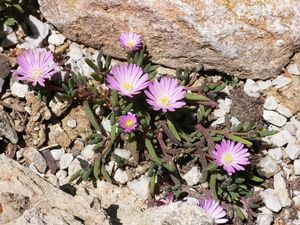 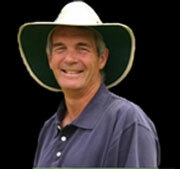 A selection from the alpine environment of South Africa, 'Beaufort West' prefers dry conditions and well-drained soil. 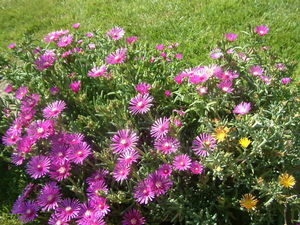 Somewhat slow to spread, the fleshy green foliage will spill out of containers and drape over rocks.